In 1971, when commenting on restriction of the courol to Madagascar and the nearby Comoro Islands, Joel Cracraft postulated that the first invasion of Madagascar was by primitive rollers that probably were terrestrial and arboreal. These gave rise to a lineage that became predominantly arboreal, eventually resulting in the evolution of Leptosomus. A second invasion by a more coraciid-like stock gave rise to ground-rollers, which now survive only on Madagascar. The only true roller to reach Madagascar is a recent colonizer from Africa. Africa is the home of true rollers; eight of the 12 species occur on the continent as breeding residents. Outside Africa, they are dispersed widely through much of the Old World, from Ireland and Britain in the west to the Solomon Islands and eastern Australia in the east, and from about 55° N in the western Palaearctic to approximately 38° S in southeastern Australia. Nowhere do more than two species occur together. Western and eastern sectors of the world range each are occupied by a widespread species from different genera: the European roller (Cocacias garrulus) in the west, and the dollarbird (Eurystomus orientalis) in the east. 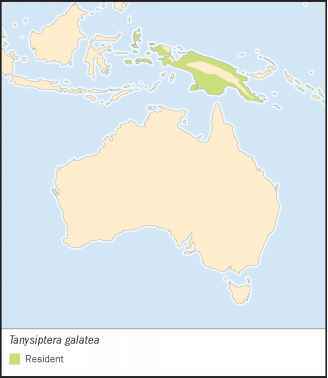 Restricted insular ranges in the Indonesian archipelago are occupied by Temminck's roller (Coracias temminckii) and the azure roller (Eurystomus azureus).